Staff Sgt. Brandon Robert Pepper, 31, of Baltimore, Md. died when insurgents attacked his patrol in Ghazni Province, Afghanistan. He was assigned to Company B, 4th Battalion, 3rd Special Forces Group (Airborne), Fort Bragg, N.C., and was deployed in support of Operation Enduring Freedom. This was Pepper’s second deployment in support of Overseas Contingency Operations. He graduated from Kenwood High School in 1999 and enlisted in the U.S. Army Reserves in January 2000. Upon completion of Basic Training and Advanced Individual Training, he was assigned to the 323rd Military Intelligence Battalion, Fort Meade, Md., where he served as an intelligence analyst and deployed in March 2003 in support of Operation Iraqi Freedom. Pepper entered Active Duty in 2008 and attended Infantry Advanced Individual Training at Fort Benning, Ga. He was then assigned to the 101st Airborne Division as an Infantry squad leader. In October 2009, Pepper graduated from the Special Forces Assessment and Selection Course at Fort Bragg, N.C. 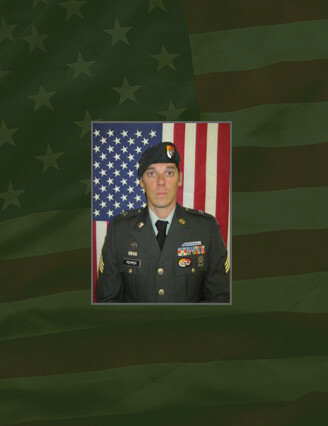 He then completed the Special Forces Qualification Course in 2011 and was assigned to 4th Battalion, 3rd Special Forces Group (Airborne) at Fort Bragg as an SF communications sergeant (18E). His military education also includes the Basic Airborne Course, Advanced Leader’s Course, Warrior Leader’s Course, Survival, Evasion, Resistance and Escape Course, and the Special Forces Qualification Course. Staff Sgt. Pepper’s awards and decorations include the Joint Meritorious Unit Award, Joint Service Achievement Medal, two Army Achievement Medals, Army Good Conduct Medal, Army Reserve Components Achievement Medal, National Defense Service Medal, Global War on Terrorism Expeditionary Medal, Global War on Terrorism Service Medal, Armed Forces Reserve Medal with “M” device, two Non-commissioned Officer Professional Development Ribbons, Army Service Ribbon, two Overseas Service Ribbons, Special Forces Tab. Pepper is survived by his spouse, three brothers and parents.